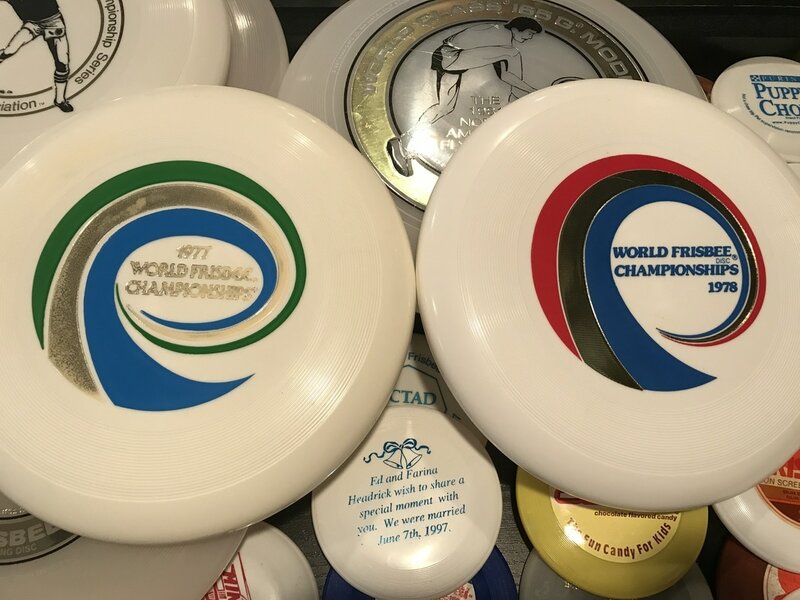 Had a nice visit with Mike Hughes, He has the best records of HDX Plastic that I know of as well as blowing my mind with WFC discs, so many color combinations, I had no idea! You learn something everyday & with each new person I meet I see new plastic, new & old I have never seen before, like the minis below. Wham-o mini from the collection of Mike Hughes. Wham-o mini from the collection of Make Hughes. 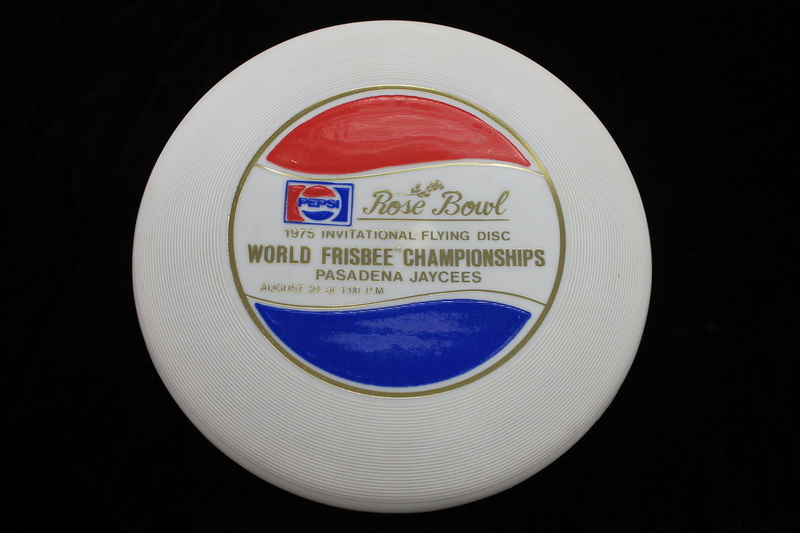 All from the 1976 WFC Rose Bowl event. 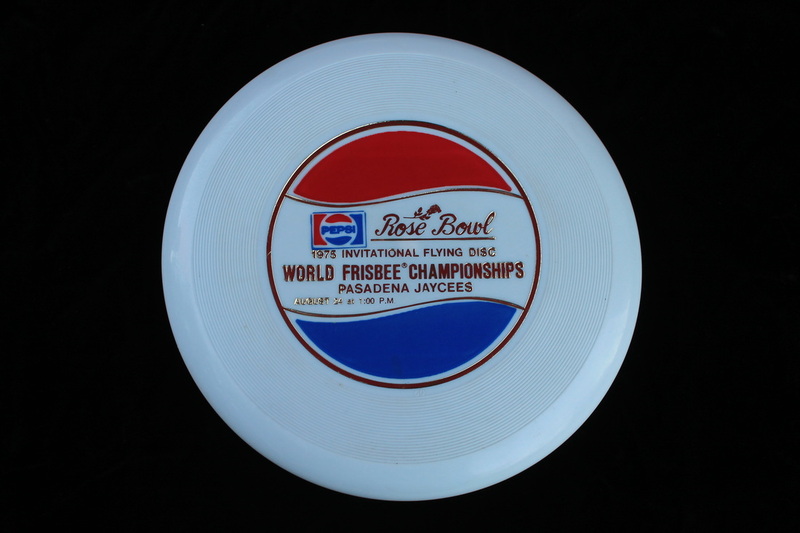 Poster, Trophy Disc, Reserved seating mini, Lou mini, Bloeme mini, Frisbee World mag with results from the event, I also have a program but it looks the same as the poster so I put the mag in instead. 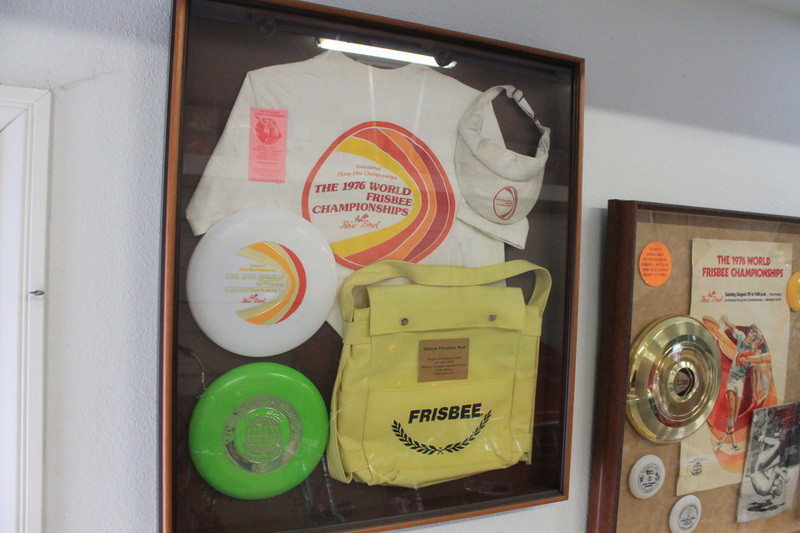 All from the 1976 WFC Rose Bowl event, A shirt, visor, Denim Frisbee Bag, Ticket, 40 mold event logo, 98 gram signature disc, I also have a paper visor from this event! Wham-o Pro # 15 no hot stamp. Wham-o # 17 Fastback , I also have a # 18. 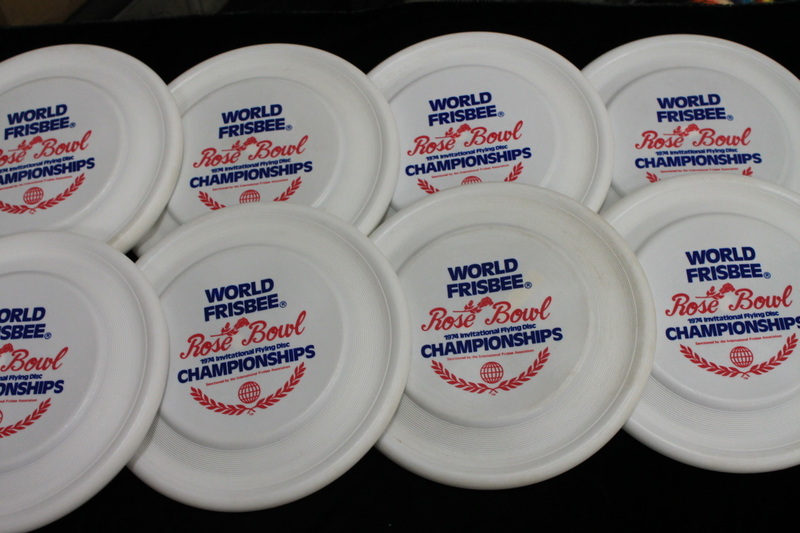 Wham-o # 1 Fastback, these have a very flat top, the mold is different from other # 1 Fastbacks, I think they were called square tops? 1974 Rose Bowl! Wham-o 81 E on left and 100 D on right. Wham-o 80 C mold on left and 100 D mold on right. 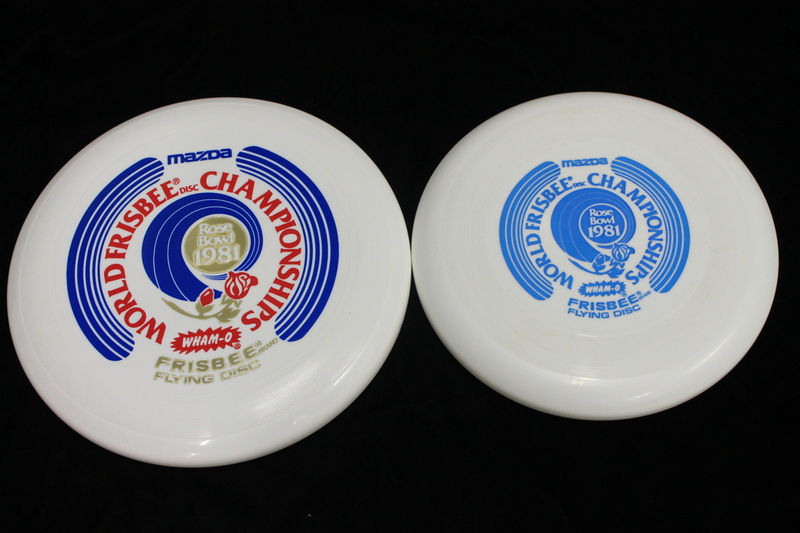 Wham-o 80 mold, rarer color combo on left. 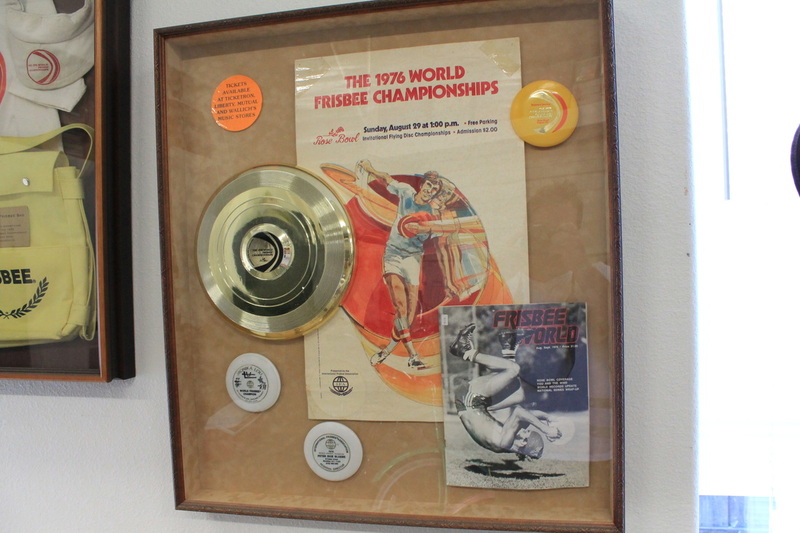 Trophy discs from the collection of Charles Burke. 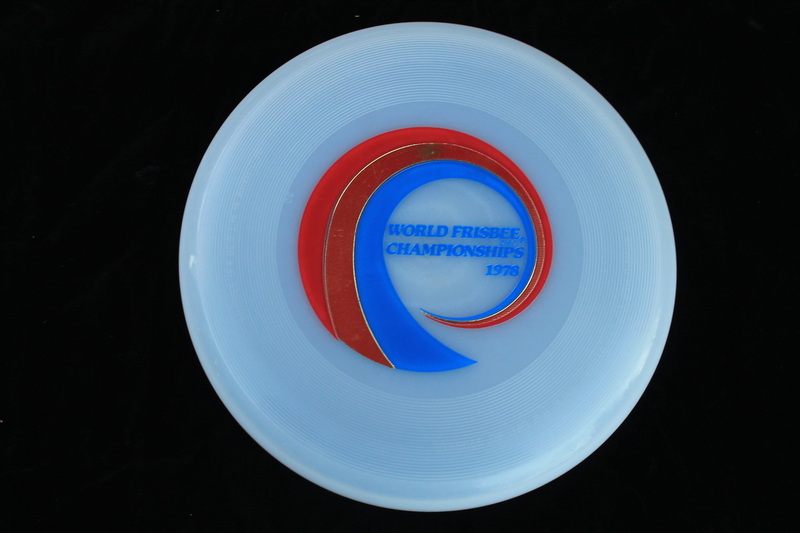 Wham-o 50 mold. Rare color combo, blue/silver/blue. 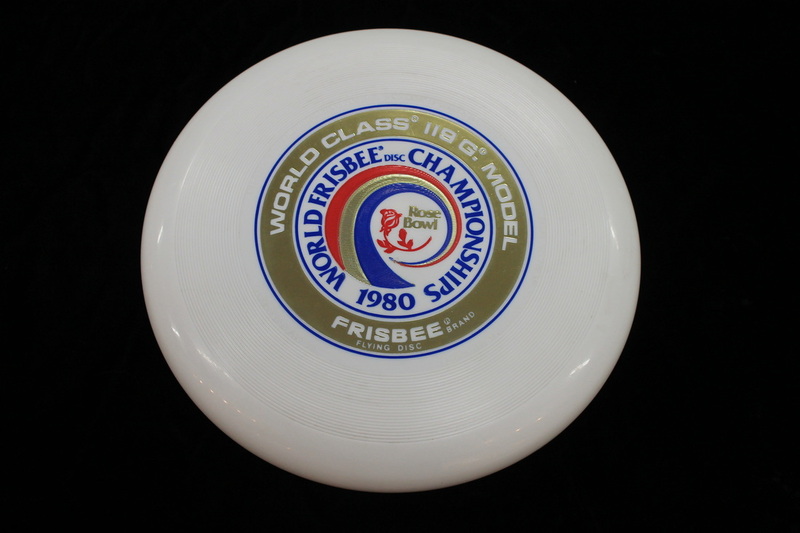 Had Bruce sign this 40 mold same stamp from above, 1975 World Champ! Wham-o 40 mold. 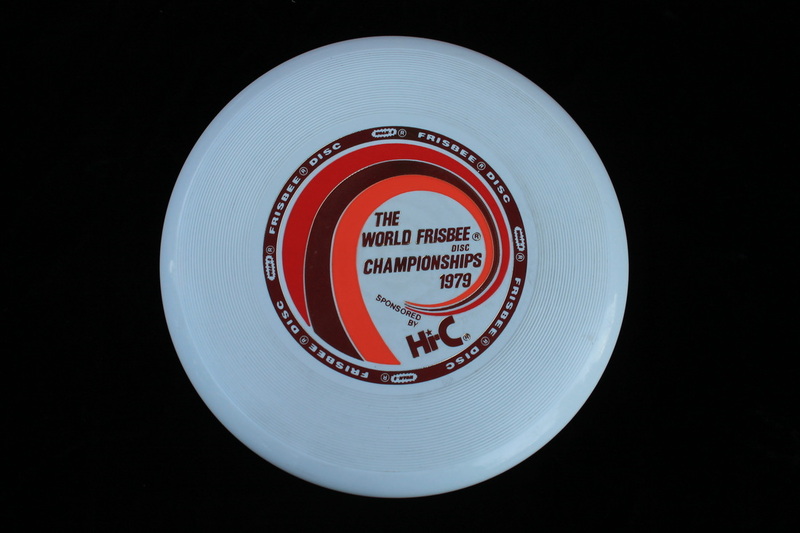 Rare hot stamp color combination. 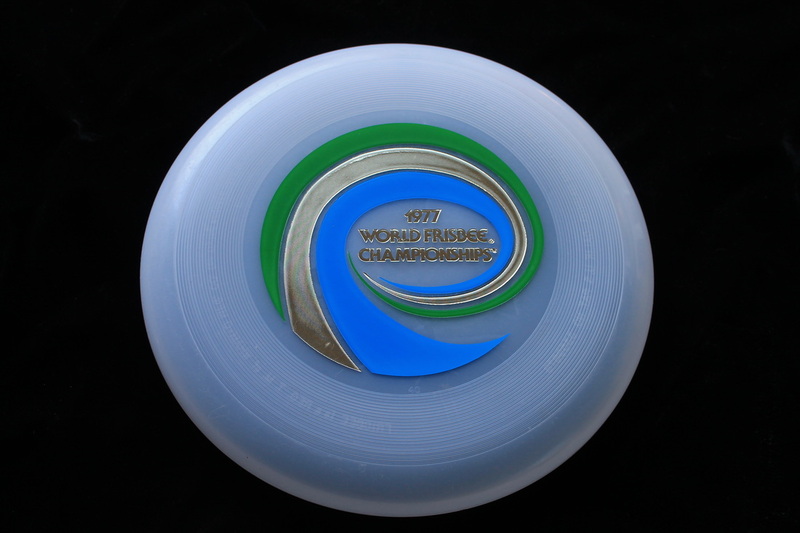 Wham-o 40 mold trophy disc. 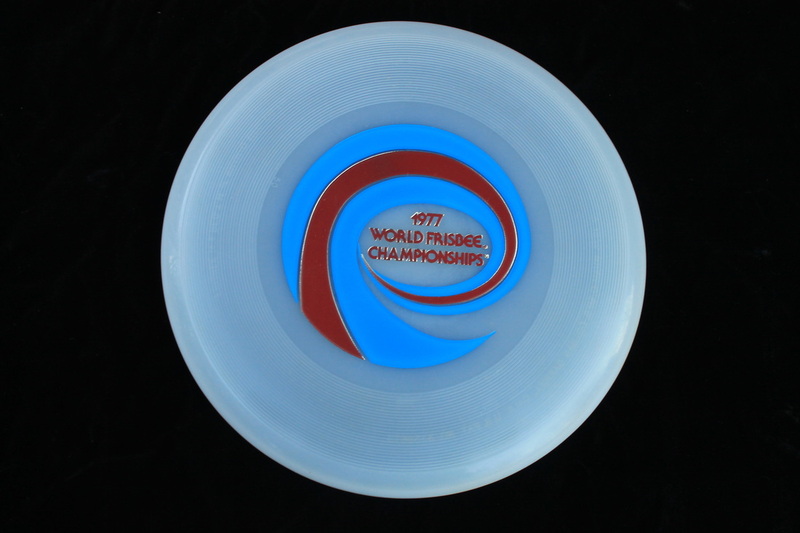 41 mold with the 1978 stamp, clear. 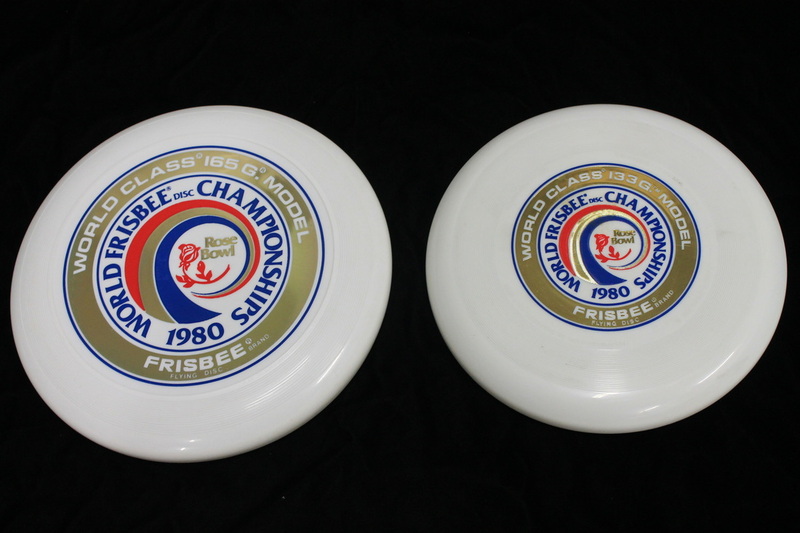 Wham-o # 3 mold, interesting disc the only # 3 molds I have are with this stamp. 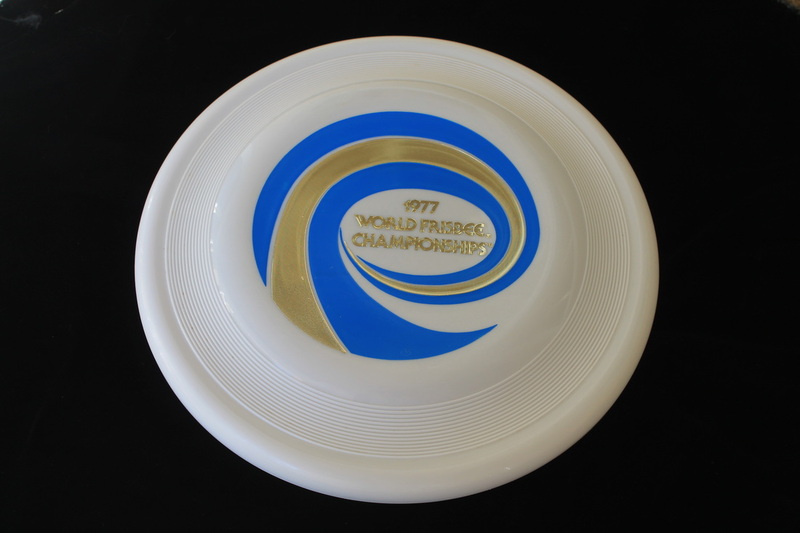 I have a second # 3 on a blank yellow, different from this disc the yellow has Burry script on the underside in addition to the usual script. The # 3 on the underside is also different in size. 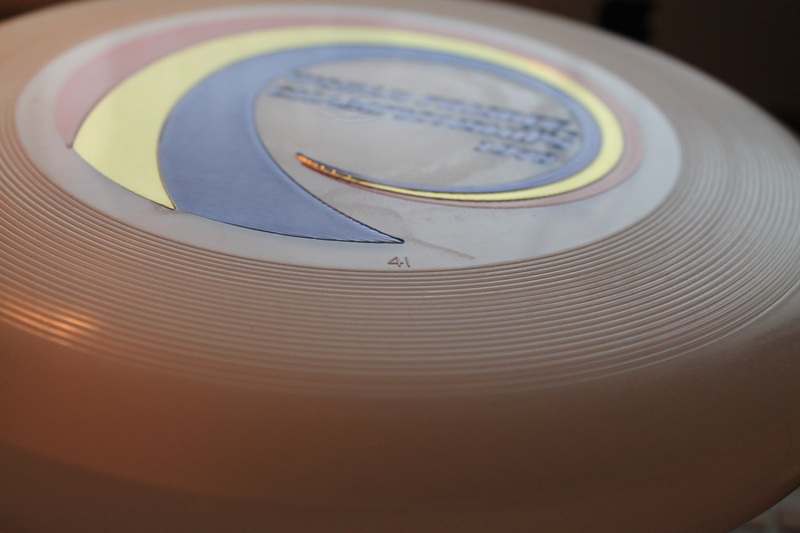 Otherwise the disc looks the same in size!